We fast for various reasons. Some might be religious, for others, is a kind of lifestyle decision they choose. Fasting is not completely similar fr everyone by method. While some of us can instinctively stay without food for prolonged periods of time while some would feel a gaping hole in the system if not munching on something within an 8 hours gap. Bu this article is not to critique but use individuals’ fasting power to understand which kind of intermittent fasting can suit them. Intermittent fasting does not limit the quantity of food but the time-gap between means. Usually this gap can range from 16 hours to 24 hours, depending upon our capability to endure their hunger pangs. The food you eat has no prevention in case of calorie count or health. If we are aware enough and know which ingredients will be aiding our body at the end of the day. 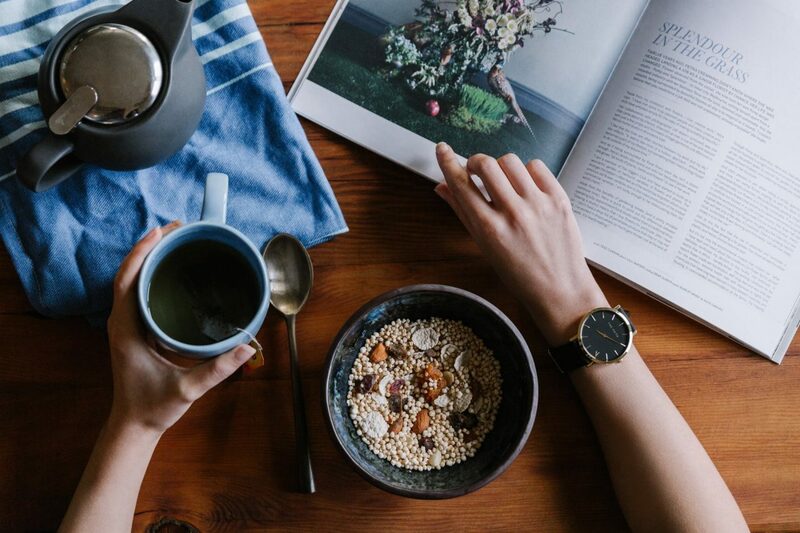 Fasting might be frowned upon due to people directly connecting it to health problems, but having a pattered meal, twice a week can have several health benefits. Normally, our bodies break the carbohydrates, turning it into glucose which the cells keep as energy and fat. These cells are aided through the glucose hormone, that lets them store this fat and energy for later. Due to fasting, i.e not consuming food for long, the insulin level in the body drops, thereby no aid to the cells to store fat. This leads to a steady release of glucose from the cells, thereby reducing weight of the body from the stored fat. As discussed in the previous point, as fasting reduces insulin levels, this can also help in reducing the oncoming of diabetes from excess glucose in the body. As blood glucose levels lower down, the body has a balanced amount of energy and healthy fat restored, letting problems such as obesity and diabetes take a back-seat. If you can balance your fasting days well and schedule them on time, this can help with reducing inflammation in the brain. With balanced fasting, the risks of Alzheimer’s, stroke etc. In this case, you’ll need to fast knowing how much your body can endure. Since glucose and blood sugar are balanced through intermittent fasting, this also keeps the heart from facing any type of risks regarding diseases from obesity and diabetes. With the fat storage reduced in the system, they cannot affect the heart at any rate. This adds up all the other discussed advantages from intermittent fasting. As the cells release their glucose levels, risk of obesity is greatly reduced, something that leads to various cancer factors. This is because insulin level dis-balances is a major factor leading to this problem. Not to forget, with the decreased rate of inflammation in the brain cells, risk of brain cancer also is lessened. On a general day, we consume a 4 square meal. If needed, we can skip a meal at times if we are not hungry enough. If the breakfast is heavy with energy and fibers, it is alright to skip lunch or evening snacks. Our bodies require time to digest a heavy meal. So fasting for one of the 4 meals shall be of no issue. Be sure to consume enough to keep the stomach filled. This method revolves around keeping a gap of 16 hours between meals and keeping a 8 hours consumption window. If you’re having your dinner around 9 pm, do not touch any solid food till 1 pm next day. Drinking tea, water and coffee is completely allowed but not with a snack to accompany. This takes effort to master but you shall surely get there. This includes minimum consumption throughout the day while you can eat your heart out at night. While fruits and diced veggies and salads are allowed during the day as ‘small snacks’, nightly gorging comprises of protein, fiber and nutrition rich solid food and meals. In many religions, this type of fasting is observed in the name of belief. And it surely helps in losing weight. While your last meal can be at 8 am Monday morning, next solid meal should be around 8 am next day. As this is fairly difficult to comply to initially, you can try adding a few salad meals to begin with and steadily cut them out. Depending on your will-power and toleration, this should be done maximum of twice a week. You can try fasting for 10-12 hours every alternate days to keep your body adapting to this change steadily. On the days of fasting, while you consume, let at the most 400 calories get absorbed by the body. Intermittent Fasting is a method your body will surely and slowly adapt to through your encouragement and practice. Be sure to follow a dietitian’s advice in order to make a perfect meal chart.